Two position antenna switch with 2000 memories for each position. LED indicators for Ant and Bypass. Optional External 4.5� analog, LED backlit Meter, 6.7w x 4.0d x 4.0h. 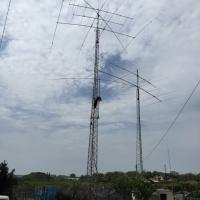 0.1 to 125 watt power range (SSB and CW), 30 watt digital. 2000 memories for instantaneous band changing. Powered over the coax. 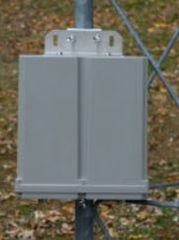 Weather resistant ABS Enclosure with Gaskets. -40 to +70C. Tuning time: 0.1 to 6 seconds full tune, 0.1 seconds memory tune. Non-latching, high powered relays. 1.8 to 54.0 MHz coverage. Built-in frequency sensor. Tunes 4 to 800 ohm loads (16 to 150 on 6M), 16 to 3200 ohms with optional 4:1 Balun. For Dipoles, Verticals, Vs, Beams or any Coax Fed Antenna. 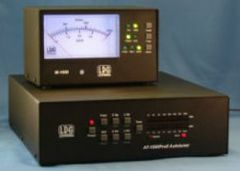 Includes U-bolts for pipe or tower mounting.Includes RC-600 Controller to provide power and control to tuner.Use an external Balun for tuning of random length, long wire or ladder line fed antennas. Size: 10.5L� x 8.5W� x 3.0H�. No artificial flavors.